There are two big pieces to the estate planning puzzle: who will run what (management succession) and who will own what (the transfer of assets). In my last ProfitTips article I called management succession the more difficult of the two because it involves judging the competency of people you love and holding them accountable to produce results. It is perceived by the incoming generation as an issue of respect. But the transfer of assets is no cake walk either. When it comes to who will own what, there are four primary issues: legacy, fairness, the viability of the units distributed to heirs, and mechanics. Most folks would probably argue that there should be a fifth, taxes. But I’ve seen too many people let tax avoidance drive their planning process. The result is almost always a catastrophic mess. When ranches fail to make the transition from one generation to the next it is rarely estate taxes that cause the problem. It is usually convoluted attempts to avoid paying taxes that are the culprit! When I was young my mother explained to my sister and me that it was unlikely that she’d leave us much of an inheritance. She intended to use whatever assets she collected in her life to make sure she would never be financially dependent on my sister or myself. True to her word, her modest estate completely funded her long-term care. My Mom’s legacy never had anything to do with a physical asset. Her legacy was in the principles and values she exemplified. It’s been my experience that the more someone’s legacy involves a physical asset, the weaker the legacy and the greater the likelihood that transitioning assets from one generation to the next will be a problem. Most of us love our children equally and because we love them equally we want to give each heir an equal share of the estate. But there are a lot of situations where equal isn’t fair. If one of our kids stayed home to help her folks while others pursued adventures of their own, it might be fair to leave more to the child who sacrificed. But fairness isn’t the only problem with equality. There is also the issue of viability. There was a time when parents could leave part of the ranch to each of their kids and each heir would have a viable unit. But there was also a time when a person could earn a decent living running 200 cows. Today we need 3 or 4 times the scale to be economically viable, and splitting the ranch could just set everyone up to fail. Generally, If the viability of the ranch means anything to you and if you want to leave the ranch to multiple heirs, there is a much better way to go. It starts with separating the land from the operating business. It’s fine to leave the land to multiple heirs as long as they have undivided interests and there is a common sense buyout agreement. Heirs who want to cash out must be aware that a minority stake in a family asset is worth pennies on each dollar of appraised value. Their 25% minority interest in a $20 million ranch isn’t worth $5 million. It may only be worth $2 million! With rare exception, the operating business should NOT be left to multiple heirs. It ought to be left to, or bought by, the one or two heirs that will run it. And the operating business should pay market rate rent to the land owners. Life insurance, off-ranch investments, trusts, buy-out agreements. 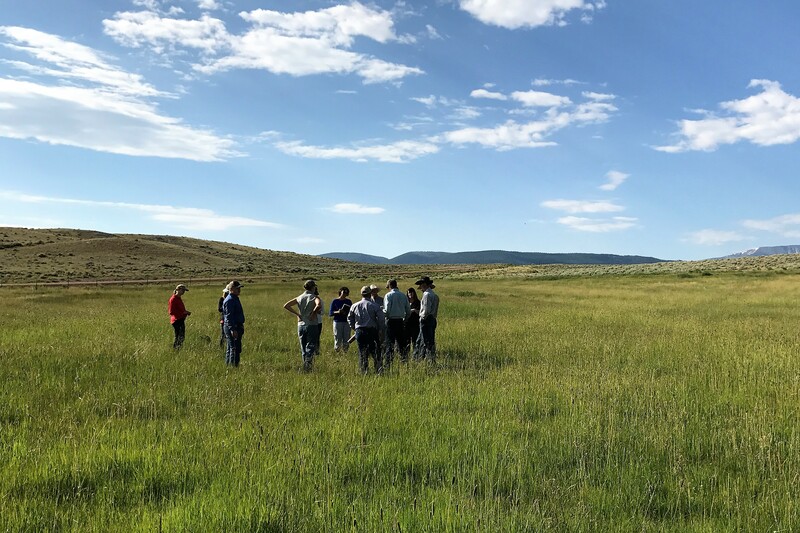 There are a lot of tools that can ensure the smooth and successful transition of assets to heirs and the sustainable future of a viable ranch. Anyone who wants their ranch and their heirs to thrive for generations to come needs to hire professional help … and not just any professional. A professional with a track-record! DO NOT ask a neighbor your age who they used and how they feel about the experience. Ask the kids of someone who died how things worked out. If they are satisfied get your referral from them. The only way to measure success is AFTER the fact.